Easter is here and I was determined to get into the spirit and get an easter themed post out somehow! 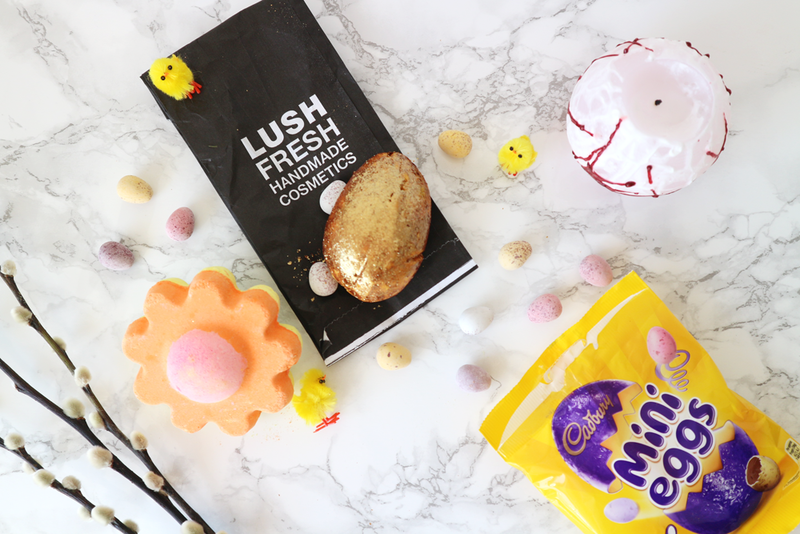 A couple of weeks back mum and I popped over to colchester for a bit of a shop and I picked up these new bath bomb goodies from the Lush easter range. The first one I got was the Ups-A-Daisy. So pretty, I had to get it! This bath bomb releases rosewood, rose and orange oils along with a beautiful colour display and a lovely floral fragrance. This is the perfect bath bomb for Spring! The second one I just had to pick up. A golden sparkly egg. Yup. Just photographing this left glitter absolutely everywhere, but boy is it worth it. Can it get any better I hear you ask? Yes it can, it smells of orange and chocolate. Basically the bath bomb of dreams. Have you tried either of these? What bath bombs do you recommend? "She is the river flowing Orwell"